How Do I Choose the Best Type of Hot Cereal? 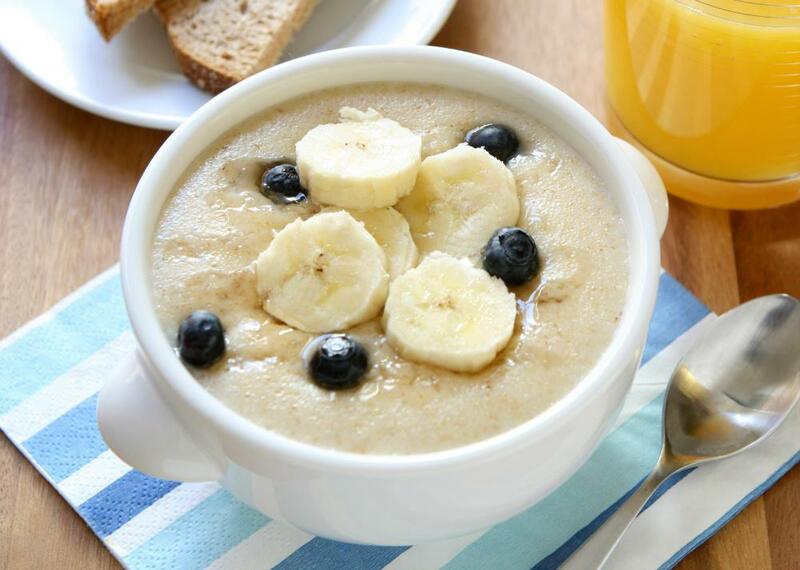 Hot oatmeal can be prepared in minutes. The best type of hot cereal for you will mostly depend on your personal preferences and lifestyle. If you're looking for a healthy hot cereal, for example, you should choose one that is low in sugar, fat, cholesterol, and sodium, but high in fiber. You should enjoy the taste of your hot cereal as well. Finally, you should also take into consideration how long it takes to prepare a hot cereal, especially if you have limited time in the mornings. When choosing a type of hot cereal that is healthy, you should compare the labels of a few hot cereals. The healthiest hot cereals will usually have less fat, cholesterol, and sugar than other types. If you are on a low-sodium diet, you should also choose a low-sodium hot cereal. Fiber is also a healthy part of a person's diet. Whole grain hot cereals will typically have more fiber than other hot cereals. If you're an oatmeal lover, you should consider choosing steel cut oats instead of rolled oats, since these contain more fiber and nutrients. Taste is also usually an important consideration when trying to choose the best type of hot cereal. Many types of plain hot cereal can be bland. Hot cereals come in a variety of flavors, including maple brown sugar, apple cinnamon, and strawberries and cream. Although these flavored hot cereals may be much tastier, they are usually not as healthy as plain cereal. For example, they will often contain excessive amounts of sugar and fat, as well as sodium. Adding fruit or other flavorings to hot cereal is usually a better option. You can add fresh fruit, honey, and cinnamon to hot cereal to improve the taste. Brown sugar and maple syrup can also be added to hot cereal, but this will also add sugar to an otherwise healthy breakfast. If you have very little time in the morning, you can purchase a type of hot cereal that can be prepared quickly. Steel cut oats and homemade grits usually need to be cooked on the stove for several minutes before they are eaten. These should be saved for mornings when you have more time. Hot cereals like instant oatmeal, instant grits, and cream of wheat, on the other hand, can usually be prepared in minutes. What Are the Best Tips for Making Homemade Cereal? What Are the Different Types of Low-Carb Cereals? What Are the Different Types of Cereal Ingredients? What Are the Different Types of Cereal? What are Some Different Types of High Fiber Cereals?